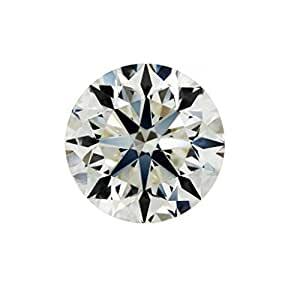 0.90 Carat Round Diamond with L Color & SI2 Clarity. See 2nd image for actual diamond photo. This diamond complies with the Kimberly Process and 100% natural and conflict free. Worry Free Shopping, 30 Days Moneyback Guarantee.